If the computer does not start up, please double-check the battery install instructions to ensure it’s correctly installed. If the computer is off, you’ll need to turn it on. You can use the computer during this step, but don’t put the computer through heavy use to deplete the battery faster. Steady, even usage is better for power system calibration. NewerTech announced today the availability of NewerTech MacBook Pro Retina Battery Replacement Kits. NewerTech helps to put the power into users’ hands with this complete installation toolkit. The new kits are designed for users who are familiar and comfortable with multifaceted installation projects, and for whom the idea of handing over their computer to someone else and experiencing days of downtime is just not ideal. 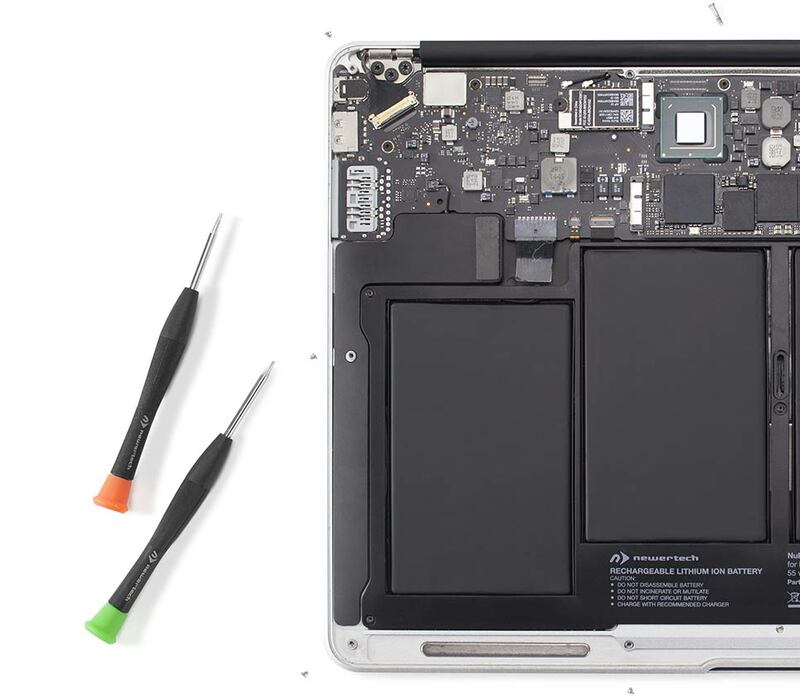 Everything needed to remove and replace a glued-in OEM battery in a 2012 – 2015 MacBook Pro Retina is included and has been tested for usability and reliability (including the adhesive remover). Also available are comprehensive, model-specific video guidance on each product page and award-winning customer support. When it came to the traditional spinning hard drive, everyone pretty much knew what you meant when you wanted to get rid of all the drive’s data and encrypt the drive’s contents so that no one can detect its contents. However, when it comes to SSDs(solid-state drives), traditional methods of erasing a drive such as repeatedly using data location overwrites often does little to affect the drive. And sometimes when you overwrite the data on SSDs, there’s a big possibility that a portion of the overwritten data may still be accessible on the drive, which poses a security threat. So, how is it possible to erase SSDs safely without compromising the function of the drive? Is it possible to permanently erase data and make it no longer accessible? 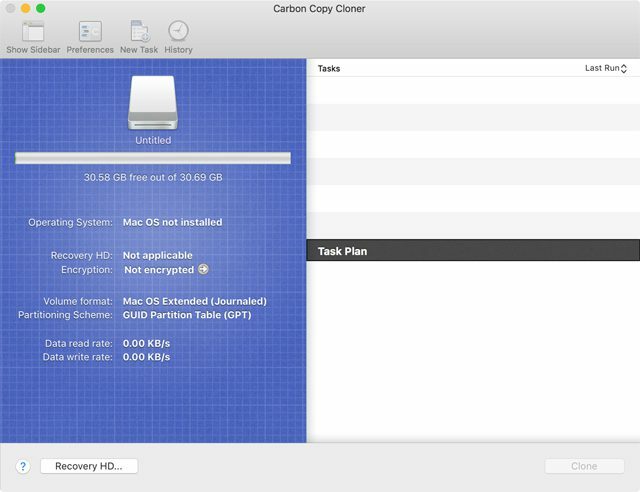 Review how the Disk Utilityfunction is a possible solution for erasing and protecting information by reading the article Disk Utility for macOS Sierra: Erase a volume using Disk Utility. Let’s look at how to securely erase an SSD without damaging the drive. Like we already stated, most people are aware of how to erase the traditional hard drive. These drives store data in a linear format, which makes it easy to clean up and erase them (since it’s easier to access the data to read and write it). In short, you are getting rid of the volume and partition maps, so you can overwrite each data location according to a data pattern. Because of how many times the data is written and the pattern used for wiping the traditional hard drive, the sanitation procedure complies with most government agency regulations (including the DOD). Unlike traditional hard drives that have a linear pattern, SSDs have various storage combinations that make it harder to map out the layout of the drive. The multiple layers—called flashtranslation layer (or FTL)—help determine how the data is managed on the drive. SSDs have more flash memory than they need. So, the excess memory becomes empty data blocks that are used when you rewrite the drive (as out-of-band sections). Thanks to the various mapping layers of the drive and how the flash controller handles the distribution of memory on the drive, it makes it very difficult (almost impossible) to get rid of traces of all data ever written on the drive. For example, when editing a document you have created, you would think the changes made to the document would erase the data that was replaced. Instead of the data blocks with the original data being rewritten with the new data, the original data is left untouched, and the new data is stored in available empty data blocks. The physical map of the drive is changed because the new edits create an update that point to the newly-filled data blocks. Therefore, the original data blocks no longer in use will read as free space but are still filled with the original data. Also, these data blocks will remain accessible until the SSD’s garbage collection system takes care of it. Because of the FTL architecture, it is impossible for a traditional hard drive erasefunction to get rid of all the data on an SSD since some data locations will not be accessible. The designers of the solid-state drive realized there needs to be a simple way to clean an SSD thoroughly. The ATA command is one solution to this problem. The NVMe command was also a proposed solution for cleaning SSDs effectively. Also, the designers proposed a Secure Erase Unit to clean SATA-based SSDs, and the Format NVM to clean PCIe-based SSDs. There are two primary ways SSDs securely erase their data. For SSDs that use the encryption function that’s in the controller, the crypto-erase format is used that will allow changes to the internal encryption key, which will render the data unreadable. Another way to erase data securely on an SSD is to use the block erase format that will allow you to do a full media erase (even the FTL memory and out-of-banddata). There are also SSDs that can combine the use of crypto-erase and full media erase. Unfortunately, SSD designers did not create software utility apps to support Format NVM or Secure Erase Unit natively on Mac computers. Most Mac users will have to employ the use of a Linux-based SSD utility program(hopefully created by the SSD manufacturer) or a bootable Windows partitioning and formatting utility that will allow the Mac to run the Secure Erase function. Since some companies that create SSDs don’t have utility programs that allow you to run the secure erase feature, you may have to opt for using a third-party utility app such as GPartedor PartedMagic. As already stated, some SSDs have simplified securely erasing their data using the crypto-erase function which renders the data inaccessible. They are often referred to as Self-Encrypting Drives (or SEDs). Also, please be reminded of the various utility programs out there that can change or remove the encryption key. FileVault is an awesome disk encryption system or encryption function feature in APFS utilized by Mac computers that securely cleanthe drive. If you did not set up the FileVault feature when you first set up your Mac, you can do so using the steps explained in the article:Use FileVault to encrypt the startup disk on your Mac. Once the encryption feature is available, you can clean your drive with the Mac’s Disk Utility Erase function and erase the 256-bit encryption key on the drive. When the encryption key is deleted, all information that used to be available on the drive will no longer be accessible. If you still feel the need to take a further step (like to deter forensic recovery methods), you can do a flash memory reset. If your SSD has built-in encryption features, you can physically destroy the drive’s controller to prevent the ability to recover the data. Since the flash memory chips encrypt data, the destruction of the controller renders them inoperable. However, if you want an extra layer of protection, you can destroy the flash memory chips also by drilling a few holes in them. As stated earlier, the problem with erasing SSDs comes from trying to treat them like traditional hard drives. You can’t just overwrite the data multiple times because it does not work on an SSD. Therefore, you have to do a little more than just overwrite the data. The best option is to use encryption features on your Mac when you first set it up. You can’t go wrong using the encryption features with an SSD. Fortunately, most SSDs have their own encryption tools to make cleaning your drive a simple process. However, even users who have SSDs that are SEDs can benefit from the Mac’sencryption system because it gives them another layer of control over how their data is stored and removed. 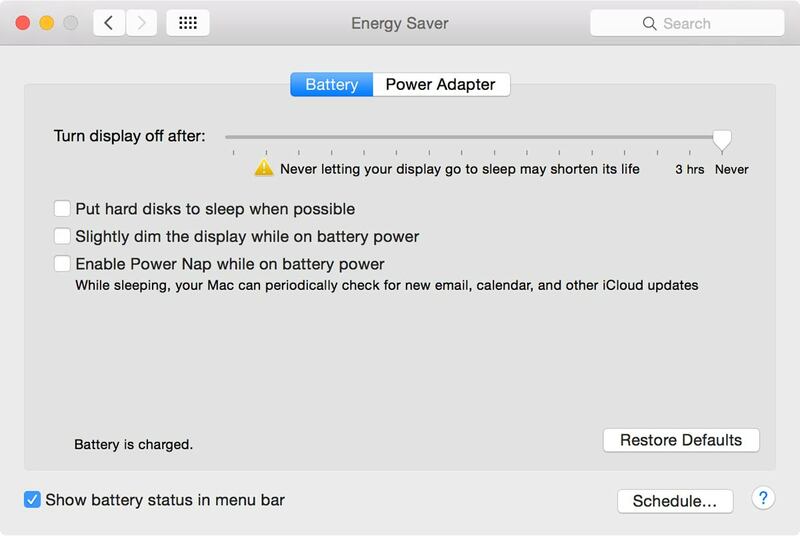 If you’re wondering why your laptop keeps dying, hopefully,the following information will help you decide to finally get that MacBook battery replaced. 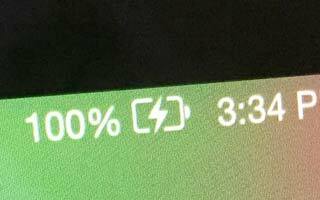 You’ve had your MacBook for years, so you should not be surprised that it’s now hardly keeping a charge like it used to do. It’s kind of frustrating trying to see how long your charge will last before your MacBook goes completely dead. After all, no one wants to find a dead laptop when they are expecting to do some work on it. Knowing what to expect from your current battery’s performance can make life a lot easier when trying to determine how much time you have before the battery goes dead. 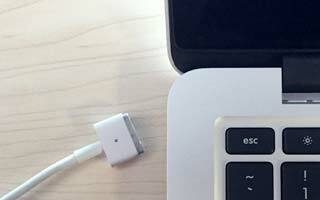 Service Battery:The battery isn’t performing properly, and your MacBook needs to be taken to an authorized Apple store or computer repair store to be serviced. However, you can still work on your MacBook until you go get it serviced because the problem should not affect other parts of your computer. Replace Soon:The battery is performing at its best, but the battery is not holding a charge likeit used to when you first got it. You can still use your computer until you get ready to get the battery replaced. Replace Now:The battery is performing at its best, but the battery has a highly noticeable decrease in performance when it comes to holding a charge. However, you can still use your computer until you get ready to get the battery replaced. Normal:The battery is performing at its best. 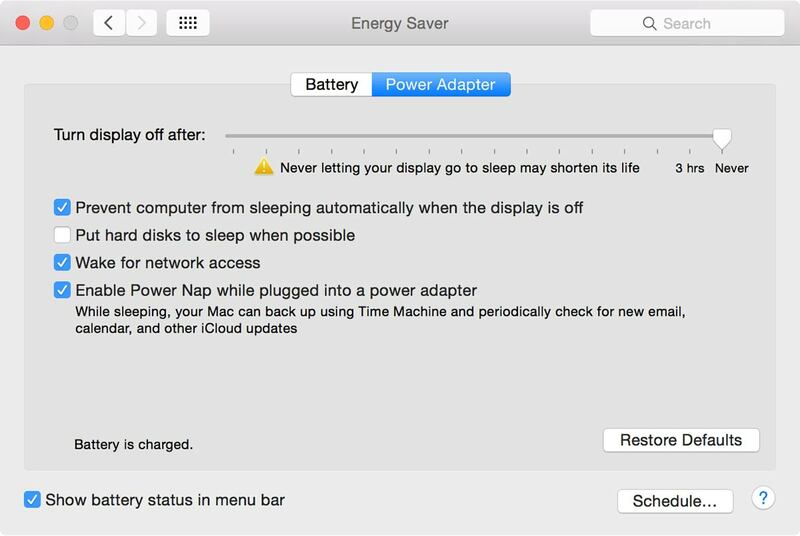 Regardless of the condition, you still have some time to use the battery before deciding on getting a new one or a new MacBook. Although battery cycles may vary for various types of MacBooks, most are able to endure at least 1,000 cycles. A cycle count is made when you fully recharge a battery after the battery has run down completely. That means, you can drain your battery over halfway (about 60%) one day and recharge it, and it won’t count as a full cycle until the battery has done a complete depletion before recharging it. When your battery has done 1000 cycles, your battery can function at a capacity as high as 80%. Your battery can endure more than 1000 cycles but expect your battery to work at a much-diminished capacity. If you want to check your present cycle count, you can always go to the System Report tool to find out how many cycles your battery has completed. When you press the Alt key and select the Apple icon (in the upper-left corner), you will see the System Report option. Click on System Report and click the Power option from the left panel. You should then see the term “Cycle Count” in the Battery Information Section under the “Health Information” section. 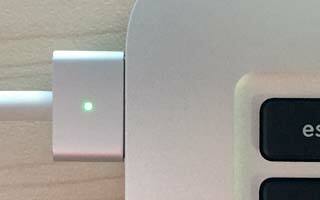 Those needing to have their battery replaced need to take their MacBook to an authorized Apple Store or computer store with authorized personnel to have their battery replaced. If you go to an authorised Apple Store, you can expect to pay between $189 and $500 to have your battery replaced. Alternatively, you can do it yourself with a new battery from NewerTech for as low as $124.99 – as well as being cheaper, this option also allows you to replace old batteries in machines for which Apple will no longer provide service. If you chose to purchase the AppleCare Protection Plan, then the process of replacing your battery becomes a whole lot easier if your MacBook’s warranty has not expired. If you’re still covered under warranty, you can get the whole MacBook replaced instead of buying a battery. When the fans on your Mac are working overtime (and even making a lot of noise) to keep your computer cool, and the battery seems to be performing poorly with each charge, then you may be encountering the results of cryptojacking. Keep in mind that these experiences can also be the result of other factors. 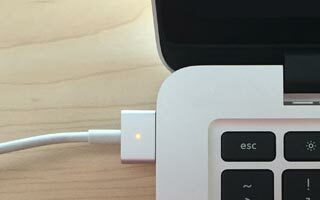 For instance, hot weather can affect your Mac’s ability to cool and run properly. Also, audio/video processing can cause your Mac to take a dive in performance—especially when engaged in a lot of simultaneous processes. Cryptojacking is the ability to take advantage of your Mac’s processor to make money. The goal of cryptojacking is to use your Mac’s processing power to solve complex mathematical equations to unlock access to cryptocurrency. Each solved equation will be worth coins or fractions of coins in the targeted cryptocurrency the hacker is mining. It’s called cryptojacking because this mining of cryptocoins via the use of your Mac’s processor is being done without your consent. But first, let’s take a moment and discuss the pursuit of bitcoins, so you can understand why hackers are cryptojacking people’s Macs for their processing power. Coin mining is simply the process by which people obtain a well-known cryptocurrency called Bitcoins. When coin mining first began, all a computer had to do was complete a simple mathematical task for the user to earn coins. As cryptocurrency grew in popularity, the mathematical equations that had to be performed became more difficult to perform by a single computer in a reasonable amount of time. Therefore, people began using specialty-made computers that worked together to solve the equations and gain cryptocurrency within a decent amount of time. Coin mining increased in difficulty as the demand for cryptocurrency grew, which meant people could no longer use a simple computer to solve the equations anymore. Coin mining now requires computers specifically designed to work together to solve individual parts of the equation. This notion of using various computers to work on a specific part of the equation has led to the onset of cryptojacking. Hackers discovered they could have multiple computers working for them to solve specific parts of a complex equation by installing mining software onto the computers of unsuspecting users. Then, the hacker takes over that person’s computer processor without the person’s consent and starts performing various processes to gain cryptocoins. There are two ways cryptojackers take over a person’s computer to use coin mining. software. One less commonly used way is to introduce the mining app through traditional Trojan malware. The trojan will imitate a well-known app. Once the unsuspecting user has downloaded the imitation app, the coin mining software gets installed and goes to work coin mining. The second and more common approach to cryptojacking a Mac offers hackers many benefits. For starters, the process is relatively simple to implement because all they need to do is create and place an ad with an online advertising service that will spread the ad to multiple websites. Unlike the less common approach, the hacker doesn’t have to convince the user to download and use an app to start running the mining code. The ad on the webpage requires no installation code. The browser used to access the website will continue running the mining code while the webpage is open. Go to /Applications/Utilities and select Activity Monitor. Select the CPU tab in the Activity Monitor window. When you select the CPU in the Activity Monitor window, you will see a graph at the bottom of the window that displays the CPU usage. Any time you go to the internet and open a web page, you will see the usage go up on the graph while the page is loading. Once the page is loaded, the usage graph returns to normal. However, when you go to a web page that has cryptojacking taking place, you will see the CPU usage on the graph go up very fast and remain that way the whole time you are on the web page. When you leave the website or close your web browser, you will see the CPU usage drop back to normal. If you don’t want the Activity Monitor window open on the desktop while working, you can always click on the Activity Monitor dock icon to show the CPU usage history. Just select Dock Icon from the Activity Monitor menu and close the current Activity Monitor window. An example of a page that impacts CPU usage because of cryptocurrency mining is TheHopepage.org (ran by UNICEF). Unlike the illegal pages that cryptojack your Mac without your consent, this page asks for your consent to have some of your Mac’s processing power (that you set yourself) to mine for cryptocurrency as donations to provide food, water and vaccinations for children. When you close the web page, the website is no longer mining from your computer. Other sites that are involved in cryptojacking usually don’t ask for your permission and tell you why they want to use some of your computer’s processing power. When it comes to the less common technique of cryptojacking—using an app—the more popular apps used to be Miner-D, DevilRobber and Coinbitminer until Apple created a security update that prevented these apps from being successful. Nowadays, you won’t find many mining apps around like mshelper, a cryptojacking app that has not yet been figured out as to how it works. One thing IT scholars do know is that mshelper tends to work in conjunction with other downloaded apps (like Flash updater). In the Search field, type mshelper and hit return. If you don’t see anything listed from your search, then that means the app is not present on your Mac. If you do see “mshelper” listed from your search, then that means the app is, present on your Mac. 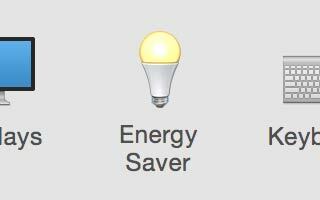 Select the mshelper app from the list and then select the Force Process to Quit button (the button with the circle and an “X” going through it) found at the top left section of the Activity Monitor toolbar. Go to Finder and select /Library/LaunchDaemons/. Find the file named com.pplauncher.plist, and delete it. To find the second file that needs deleting, go to Finder and select /Library/Application Support/. Find the file named pplauncher, and delete it. Make sure you are searching the startup drive’s Library folder and not your personal Library folder. Cryptojacking is a friendlier type of malware because it only uses your computer’s processor and does not try to damage your computer. Also, this type of malware is not designed to steal personal information or ransom your data. Since the increase in cryptojacking, there has been a decrease in ransomware attacks because hackers tend to get caught more often while using ransomware than they do while using coin mining software. Also, there is an increase in websites that offer consensual cryptomining opportunities to decrease the presence of ads on their websites. For example, those who read Salon have probably observed the opportunity to remove ads from their view of the site by consenting to cryptomining. Since Salon’s coin mining is in the beta stage, it probably won’t be a permanent substitute for ad revenue. However, it is noteworthy to see how some sites are using cryptomining without stealing the use of someone’s computer processor. Last year, reports about the slow performance of older iPhone models broke out, prompting speculations and conspiracy theories about the sudden changes. Reddit users first highlighted the speed problem, contemplating about its possible causes. Apps take longer than usual to load, and speakers are less loud. Other observable changes include lower frame rates while scrolling, backlight dimming. Apps refreshing in the background require reloading upon launch, and in extreme cases, camera flash will be disabled as visible in the camera UI. Some changes may not be noticeable for some users, but the furore has brought the issue to the fore, fueling a plethora of misinformation and accusations. Many theorize that the tech giant itself is largely involved, that the move to slow down the performance of older iPhone models is deliberate. Some even go as far as saying that the motive is to convince users to switch to newer iPhone models. The uproar is understandable since Apple prides itself in providing the best user experience. Indeed, it is a murky business of pure speculations and diverse claims, but what do the tech experts say? We have asked more than a dozen leading specialists about their opinions. Read on if you want to know whether Apple deliberately slowed down the performance of older iPhones. After you finish reading, you can form your own judgment and make up your own mind. Keeping yourself updated about the happenings in the world of technology can enlighten you about pressing issues you experience yourself and avoid the unnecessary jumping to conclusions. Benny is a Mac and PC enthusiast, uber-geek extraordinaire, all-around nice guy, keyboard warrior, and most definitely an introvert. He used to write for a little site called MacTalk, as well as a similar site called NZMac. Benny now manages and writes for AppleTalk Australia. Endowed with the keen eye and huge passion for sharing info as well as killer hacks that set netizens on frenzy, Jignesh Padhiyar has come to be recognized as a new-age blogger. Mr. Padhiyar’s approach to blogging is beyond the usual lines and entirely rests on what appeals to readers and lateral thoughts. When he is not exploring the web, discovering the cool tips in apps, you may either find him playing badminton or chess. Christian Boyce is an iPhone consultant, as well as an author of Mac-related how-to books. He started his business in 1987, three years after the introduction of the original Macintosh computer— and twenty years BEFORE the introduction of the original iPhone. His customers include art departments, designers, small businesses, and individuals wanting to learn how to use their Apple devices better and faster. Mr. Boyce resides in Santa Monica, California. Adam Rosen is an IT consultant specializing in Apple Macintosh systems new and old, and curator of the Vintage Mac Museum. He has over 30 years of experience on the platform and lives in Boston with two cats and many Macs. He also enjoys a good libation. Marty Yawnick is the creator and publisher of LifeInLoFi.com, one of the original iPhoneography blogs. He is also a self-employed graphic designer in the Fort Worth/Dallas Metroplex as well as an avid Rangers baseball, Chicago Cubs, Packers and Highbury Arsenal fan. In addition to capturing random moments with whatever camera is close by (usually his iPhone), his other interests include coffee, Pink Floyd, film, music, and traveling in seats 5E and 5F with his fiancé. If you’re wondering where he’s been lately, Marty is currently working on a project about Pink Floyd The Wall, which you can check out at TheWallComplete.com. (1) It did not clearly announce the aging-battery life issue and effects months before enacting mitigating software changes. (2) Apple implemented aging battery mitigations before implementing software control over it, so that anyone with time on their hands could just turn it off instead of having a few beers and talking about class-action lawsuits. Lloyd’s eponymous diglloyd.com website publishes a popular blog and a wide variety of articles and guides geared towards professional and advanced photographers. Lloyd’s print articles may be found in Photo Technique magazine. He also runs Macintosh Performance Guide, which he gives the most sage advice on selecting and configuring a Mac, especially for photographers. Asides from being a photographer and a computer expert, Lloyd is also an avid cyclist. Steve Hildreth is a publisher, webmaster, & editor-in-chief of MacPrices.net. Steve is a registered Apple Developer Connection Member and has been writing for MacPrices since 1998. “Apple was having the problem that iPhones with older batteries shut down under load, while the battery gauge showed that it was still 30% or more charged. I was hit by this myself multiple times listening to podcasts (over cellular), on bluetooth headphones while it relatively cold outside. So Apple decided to throttle devices meeting certain conditions to avoid this unfortunate shutdown. Apple solved the issue as they always do: They gather a lot of data, “captured” iPhones that were being sent in by people like me to have an AppleCare exchange for this reason, and then they devised a technical solution that would limit the number of shutdowns. What they didn’t do is to properly communicate their conclusions and decided upon solution, maybe hoping that most people would move on to newer phones and thus the problem going away by itself. When somebody noticed that their iPhone suddenly performed like new, after having gotten a new battery, the whole story came to light. Since we cannot do anything about Lithium-ion batteries having a limited life span and Apple decided to not have user-replaceable batteries, there need to be several things happening. First, users need to be made aware right from the start that they can only charge their new iPhone a limited number of times. Oliver Drobnik has been developing on Apple platforms since the first SDK was released at 2008. At the end of 2009 he turned full time developer and started his blog Cocoanetics.com. Besides doing mostly contract work for several international clients, he wrote Barcodes with iOS published by Manning. He loves to share his love for Swift by speaking at conferences. At the moment he is kept very busy by his growing family and building his first house. Anthony is an editor at Australian Macworld, but he has also contributed to many other publications. He appears on radio regularly but he has also appeared on A Current Affair, Today Tonight, The Project, The Business and other national TV shows. Dan Moren is a freelance technology journalist, prolific podcaster, and author of the sci-fi novel, “The Caledonian Gambit”. He’s been covering Apple for more than a decade and formerly served as a senior editor at Macworld. Ric Molina is a regular guy in his early thirties who decided to get his first Mac a few years ago. Like many, he grew up playing video games and was bummed to hear it would be difficult on a Mac. Ric realized it was a pain to find good Mac games not because they were rare, but because no one ever talked about them. Thus, he created Mac Gamer HQ in October 2012. Ric has been covering Mac gaming for the last 6 years and his work has been recognized and featured by some of the biggest tech outlets in the world, such as TechCrunch, Apple Insider, The Loop, Mac Rumors, iMore, Cult of Mac, 9to5Mac and more. Slow iPhone: Is It You or Apple? Apple is one of the leading giants in technology industry, so any news about the company will spread like a bushfire. Before 2017 ended, news about deliberate slowing down of older iPhone models’ performance broke, inviting media coverage and a lot of speculations and even misinformation. If you are an iPhone user yourself who owns an older iPhone model (6, 6s, 6s Plus), you may have experienced a difference. You may have noticed how some of the apps on your phones take longer to load. The speaker volume is considerably less loud than it was originally. There are lower frame rates when you scroll down, accompanied by gradual frame rate reductions in some applications. Background refresh of some apps might also require reloading once you launch. It can be frustrating and worrying. Why is it happening? Do you need a new phone? Should you upgrade to the newer models? It is not a surprise when the bulk of the blame falls on Apple itself. Conspiracy theories abound. Unfounded claims and accusations also surfaced. In fact, Apple’s admission of slowing down older iPhones’ performance resulted in at least eight separate class-action lawsuits filed in the US. Apple even apologized. Many came to the conclusion that the tech giant deliberately did it in order to encourage users to upgrade to the newer models of iPhone. But is it all there is to it? Did Apple do it on purpose, and was it for the reason many insisted? It pays to sift through the misinformation before jumping to conclusions. Read this infographic to know about why your iPhone is slowing down and what you can do about it. If you’re at all like me, you probably have a bunch of old flash drives lying around – stuffed into junk drawers, hidden in a purse, stashed away in the car, spread throughout kids’ schoolbags… sound familiar? If this is the case, read on for some interesting tips for how to get some more use out of them. Of course, all of the usual uses for flash drives apply – they’re great for easily transferring data between computers, temporary backup locations, sending secure electronic documents via post, storing the kids’ homework, etc. – but chances are you already know about those (those uses are why we end up with so many of these devices in the first place!). In this article, we want to show you some more interesting uses of which you might not be aware. The basic idea is this: join a bunch of flash drives together to make one large volume which, due to the system being able to split data across the multiple drives, will have much faster read and write speeds than any individual flash drive. If you have ever used an external RAID storage device, the idea is the same. To set up a RAID0 system using flash drives, it’s best if you have a powered USB hub – something like the Anker 10 Port Hub would suit. Once you have the hub, connect your flash drives it. 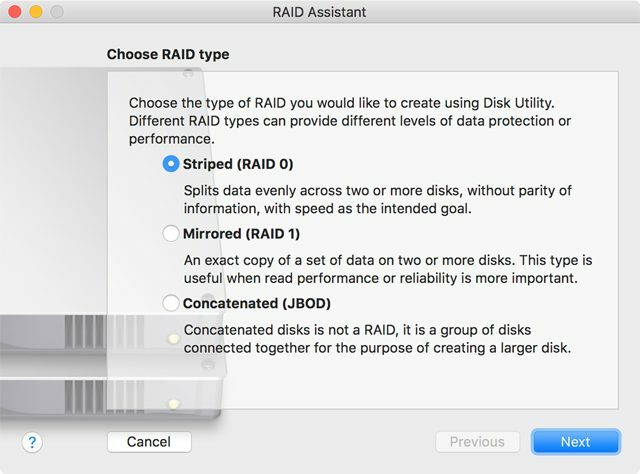 Once they’re all connected, you can use Apple’s RAID Assistant software (built into all recent versions of macOS) – or 3rd party software like SoftRAID or SoftRAID Lite – select all the flash drives that show up, and create a ‘Striped (RAID 0)’ volume. As a note on storage size, a RAID setup will treat all of the connected flash drives as if they have the capacity of the smallest drive – if you have one 16GB drive and three 128GB drives, the RAID array will treat all the drives like they are 16GB drives (the size of the smallest single drive), giving you a total of 64GB for the entire RAID0 volume, even though the sum of all the drives is much greater. Once you have done all of that, you will have a RAID0 array striped across the various flash drives. Because data is striped across all of the drives, read and write speeds will be faster than any individual drive – this can be useful if you are using this setup as a scratch editing drive for video, for example. The faster the speeds of the individual flash drives, the faster the overall array will be – speeds of USB3 flash drives vary widely with the fastest drives being around 200 MB/s, and ‘normal’ drives seeing around 25 MB/s write, and less than 100MB/S read. The more flash drives you use, the faster the overall array will be – because the data is striped, the more parallel reads or writes you can do at once (ie. the more drives connected), the faster it will be. All of the included flash drives will need to be present for the data on the volume to be readable. This adds a level of security to anything on the disk – if one of the drives isn’t present, the data is inaccessible. If you want a way to store sensitive data, or if you’re a spy, this might be useful. On the flipside of the above point, if you lose any one of the flash drives, or if one of them fails, you will lose all the data on the volume. If this could cause a problem – especially if you’re using it for video or audio production – be sure to have backups! If you have ever been sent a text message by your bank, or some other service, to confirm that you are really you, you have used two-factor authentication. While more secure than just a password alone, SMS messages sent to your phone are relatively easily spoofed (faked), and not a particularly secure form of two-factor authentication. A more secure form is one that relies on your having a physical device in your possession – this sort of thing can be achieved via an app on your smartphone or – surprise – by using an old flash drive. The easiest way to do this is using a 3rd party app, like RohOS to convert your ordinary flash drive into a hardware token as part of a two factor system. In short, once set up, as well as knowing your password, you will also need the flash drive present to prove that you are you – this could be set up for your internet banking login, Google account, etc. Rather than needing your phone to receive an insecure text message, you would need the physical drive – this is a lot more secure, as it can’t be electronically spoofed by someone without the drive! The intimate details explaining how to create two-factor keys for your Mac are a bit more complicated than can be explained here – if you’re interested, I recommend checking out the documentation at RohOS. If you have any flash drives around that are at least 16GB in size (although more is more, despite the saying) you could set up one as portable version of a Mac. Then, you could plug the flash drive into a Mac, start up holding down the ‘option’ key to boot from the flash drive, and instantly be accessing your own installation of macOS running on the flash drive, perhaps with some essential apps installed. Once you have the flash drive connected and formatted, getting a system like this set up is fairly simple. First, download a copy of the macOS installer from the macOS store and run it. When you get to the installation location screen, choose your flash drive, rather than Macintosh HD. Once the installation is complete, you will be able to boot from the flash drive. Then, you can set it up however you like, with whatever apps you need – be aware that all of the Apple apps (Safari, Mail, etc.) will already be installed, so space might be a bit tight. You could always use some of the tips in our National Clean Out Your Computer Day post to help find some files you can get rid of. Having this bootable flash drive can be invaluable for troubleshooting if anything ever goes wrong with your Mac – a great use of a spare flash drive! This tip is similar to the above, but more suited to flash drives, as it doesn’t need as much space. The result will be a portable copy of the macOS Recovery Partition in your pocket which you can use to reinstall macOS on a computer, utilise Disk Utility, get back data from a Time Machine backup, access Terminal, and even get onto Safari on a completely dead Mac. 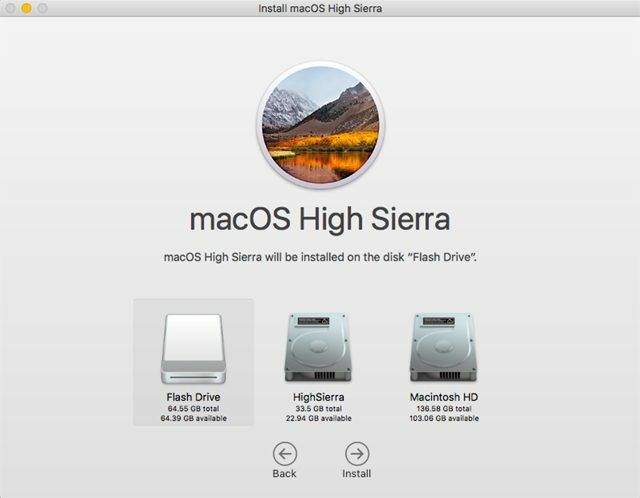 To set this up, first use Disk Utility to make a new partition on your flash drive – ideally about 1GB, with the format settings: Mac OS Extended (Journaled); and, GUID partition scheme. Once that’s done, you will need to copy the Recovery Partition from your Mac to the flash drive. If you’re using an earlier version of macOS (El Capitan or earlier), you will need to get Apple’s Recovery Disk Assistant. If you’re using Sierra or later, you’ll need a cloning utility like Carbon Copy Cloner (CCC) – I recommend this app, because they even have specific instructions to help you through the process. If you’re using CCC 4, use these instructions. If you’re using CCC 5, the instructions are here. The last suggestion here is another variation on a theme – you can create your own portable computer running a version of Linux, like Ubuntu, which allows you to be up and running pretty much anywhere. 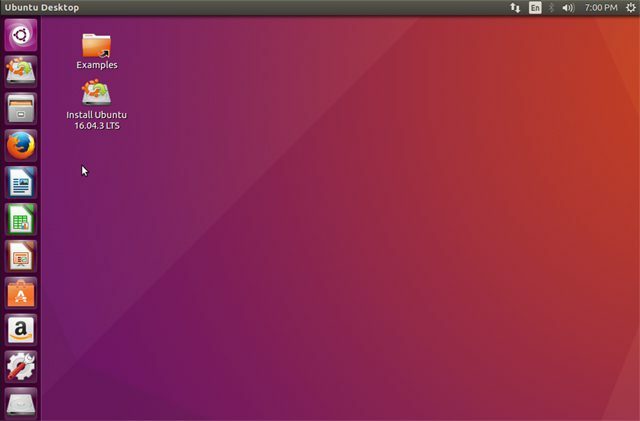 Ubuntu is a good one to try, because it will run natively on your Mac, without any mucking around. Hopefully the idea is interesting enough to you that you will be willing to read further on it – the steps are a bit too involved to go into here. Fortunately, the instructions are well laid out in the Ubuntu documentation – you can find them here: Create a Bootable USB Stick on macOS. We hope you found something useful that you can do with your spare flash drives – more useful than having them sit in a drawer, anyway. Have any other ideas that we missed? Let us know! I could take or leave Valentine’s day (given the choice, I’d opt for ‘leave’). Fortunately, there’s another, nerdier occasion to celebrate in early February – National Clean Out Your Computer Day. This year, the auspicious event falls on Monday, February 12th. Even if you like Valentine’s day, the space in between the two dates should give you enough time to recuperate, and enjoy both. How lucky! The idea behind National Clean Out Your Computer Day is to remind us to dedicate some time, once a year, to organising and cleaning up the files and data on our computers. Initially proposed and sponsored in 2000 by the Institute for Business Technology, we have grown fond of the extra ‘holiday’, and the reminder to get our bits in order. In this article, we’ll share some tips to help you deal with the lowest hanging fruit. Before we begin, we recommend making sure all of your data is BACKED UP. That is, make sure you have a completely redundant copy of all your files. We should all have this set up as a matter of good practice, but sometimes we need an occasion like Clean Out Your Computer Day to actually get it set up. If you don’t currently have any backups, stop now and set them up – you can use Apple’s built-in Time Machine software, something like Carbon Copy Cloner to make a clone of your entire hard drive, or a service like BackBlaze to keep a constantly-updated offsite copy of all your files backed up to the cloud (or, preferably, all three). With that done, let’s look at some quick ways to clean up your Mac, and get back some space. 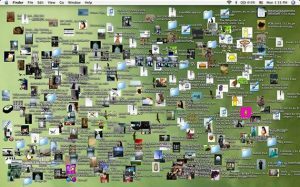 For many of us, the ‘Desktop’ folder on our Mac is a magnet for junk – it’s right there, easy to find, and easy to manage (up to a point). As a result, we can end up with piles of files scattered all over the place. Unfortunately, having a lot of files on your desktop can actually result in your Mac taking longer to start up, so we think you’ll agree it’s a good place to start cleaning. The first step I take is to ruthlessly delete anything I no longer need – web pages relating to DIY projects I’m never actually going to do, screenshots from years ago when I was trying to explain something to a friend over email, ‘entertaining’ attachments from emails that have long since exhausted all their value – being brutal, using the Space Bar to preview selected files with Quick Look, and using the cmd + delete keyboard shortcut to send files to the Trash helps. If you are someone who likes having things more organised, you can really do as much filing as you want – you could make subfolders relating to projects, dates, etc. – but I’m trying to make this as easy as possible. Easy means more likely to get done! Since most of these files will probably be small in size, and since the search on Mac has gotten so good, you should be able to find anything you need later and the overall collection won’t have too big an impact on the space available on your Mac (especially after you’ve completed the initial step of deleting un-needed files). Any files that are large enough to be significant, we’ll deal with later. Final Note – don’t forget to empty your Trash! You can do this via the Finder menu, or by pressing shift + cmd + delete. Your space isn’t actually recovered until you delete the files from the Trash, so you will need to do this to see results. Another couple of pieces of low-hanging fruit, we can clean up these problems with the help of some specific applications. For duplicate files, we recommend Gemini2 – it’s a smart, dedicated app for detecting and dealing with duplicate files on your Mac. It’s free to try it out, so I recommend downloading it and seeing what it finds. For cleaning up your System and cache files, we recommend Onyx – it is a long running, donation-supported application that can clear up a bunch of space with just a couple of button clicks. Both of these apps do the heavy lifting for you, and will almost certainly give you back some more space, as well as cleaning out some things in the background that you didn’t even know were there – it’s like having a robot vacuum under your bed. After taking care of the low hanging fruit, the next most effective way to clean up a bunch of space on your Mac is to use an application to find out where all your storage space is being used, then see if there are any big files that you can get rid of. 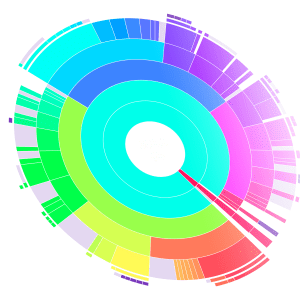 To analyse where space is being used on your drive, we recommend DaisyDisk – it’s pretty, free to try, and easy to use. You have to be a bit careful when deleting files, but since you have good backups in place (you do, don’t you? ), you can probably clean up quite a bit of space – chances are there’s at least one video file somewhere that you no longer need but which is taking up a bunch of space. Also, if you use a cloud service like DropBox, you can actually choose what gets synced to your computer – if you have files in your DropBox that you don’t need locally, turn syncing off for those files so they aren’t taking up your disk space! To finish, doing this once a year is a good start but, if you found this process helpful, there’s nothing stopping you setting a reminder to run through these steps once every month or so. Let us know how you go, or if you have any other tips to share – you can always add to this list! 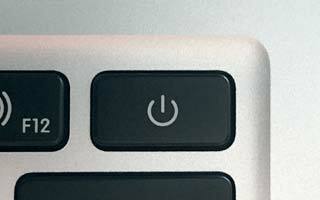 Since 1984, from the first Mac computers coming off the assembly line, keyboard shortcuts have existed to simplify certain actions. While the most revolutionary aspect of the Mac was its doing-away with the text-only interface, we still have keyboard shortcuts in the operating system – sometimes they’re just quicker than using a mouse. Command-A, which is used for selecting all the text in an area, Command-C which is used to copy selected text, and Command-V, for pasting copied text, are a few examples of some shortcuts with which you’re probably already familiar. Additionally, there are certain keyboard shortcuts that only work with certain apps. This post will shed light on some important key combinations that you can use to save time while working, and you’ll also get a little history lesson in the process. Before we go any further, let’s take a trip back to the foundation of macOS. 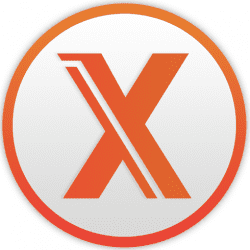 Mac products today can trace their operating system to NeXTStep, the operating system used on the NeXT workstations from the second computer company created by (Apple founder) Steve Jobs. NeXTStep originated from Unix (so did Mac OSX, now macOS), an operating system that was first introduced by the researchers at Bell Labs in the 1970s. Around that time, in 1976, two developers created a text editor known as EMACS – Editor MACroS for TECO. Despite its age, certain commands from the EMACS editor are still functional on the Mac today – in dialogue boxes, Safari address bars, TextEdit windows, and several other MacOS apps. The great thing about these ancient EMACS shortcuts is that most of them also work with iOS when you use an external keyboard! Of course, this is because iOS has OS X – that is, UNIX – heritage. We find both both Command-Down and Command-Up are super useful in Safari, because these shortcuts take you straight to the top or bottom of the web page you’re viewing. If you have a preferred keyboard shortcut that wasn’t listed here, let us know in the comments!